Gorgeous full Peruvian Balboa Son! Awesome female! 3/8ths Accoyo, possible grey producer! 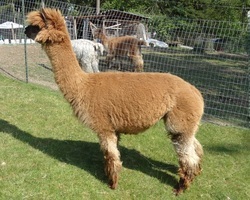 Full Peruvian and Half Accoyo, dark fawn Female! Fandango Farm's Peruvian Viola - SOLD! Viola is a very lovely full Peruvian suri maiden. She exhibits great coverage and conformation. She has great lock structure and staple length. Her sire is true black and Viola should make an excellent color producer! Viola's bloodlines include some of the best - Meteor, Cantano, and Condor! Viola is now bred to a true black male! We think that Prince will help bring out Viola's "dark side"! This is Willoww! - SOLD! - R. color champion bred to 6x champ! Willoww and her 2011 cria! luster right away! 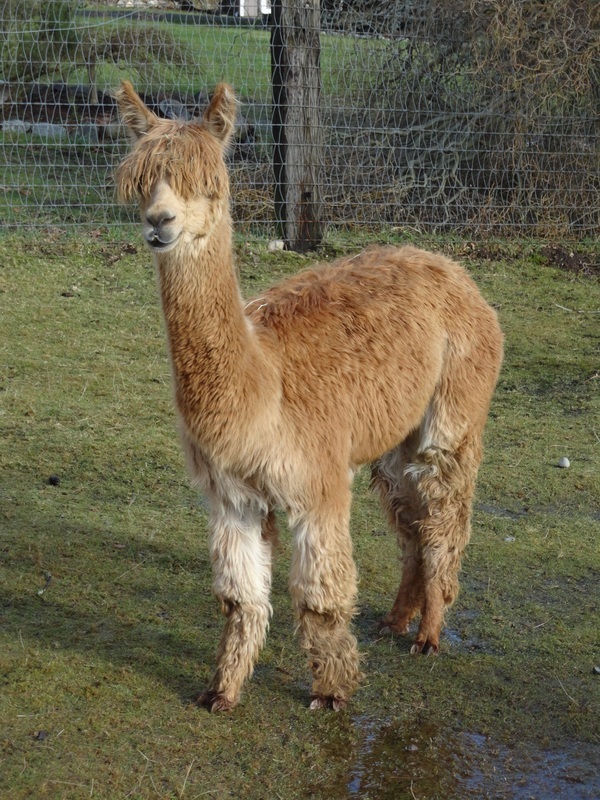 This luster, combined with her ropey locks and excellent coverage earned her a reserve championship at the 2009 Alpacapalooza halter show (a level V show!)! Willoww's first cria was a true black female, Iris! We are so impressed with Iris' combination of luster, fineness, and coverage that we repeated the breeding! Willoww is bred once again to the 6x champion, This is Tsunami's Storm Warning! A true black female of this quality is a rare find indeed! This is your opportunity to own an amazing foundation female! Willoww is THE find for someone looking for a black female! What a deal at $5,000! Reserve color champion - 2009 Alpacapalooza halter show! SSRMT Peruvian India - Sold! India is an incredible full Peruvian female! Her fleece exhibits well locked regrowth with amazing luster! Her coverage is excellent, this female is an outstanding deal! India's offspring have also exhibited the same high luster and locking as their dam! India's 2010 cria will remain in our foundation herd - she took 3rd at the 2011 Alpacapalooza in the large, highly competitive white juvie class! India's bloodlines are rare and she could be bred to almost any male!!! 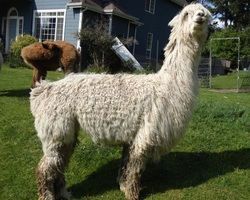 Sylvia - Sold with her 2012 cria! This lovely female would be a GREAT addition to a herd! 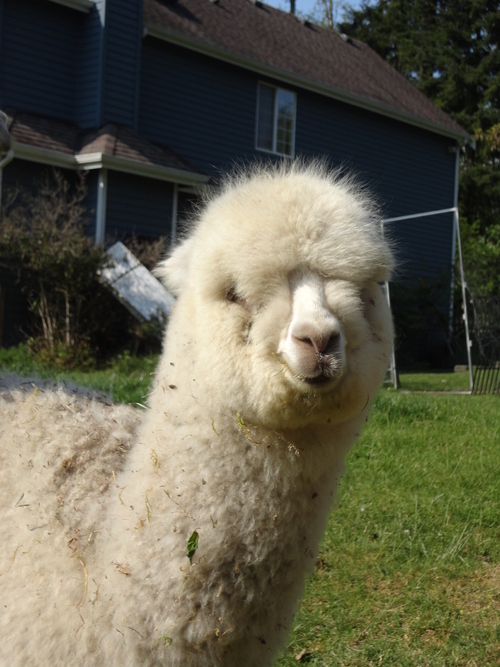 Sylvia has wonderful, dense fleece with a great handle, she has long been our spinner's favorite fleece to work with! She is a wonderful mother and she is very laid back and easy to handle. She had to have a C-section a few years ago, but has since delivered normally with no problems! 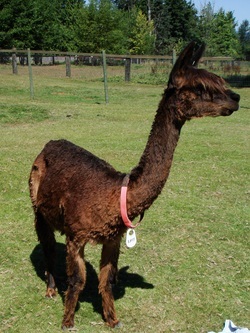 Sylvia placed 2nd when shown in 2007 at the Alpacapalooza halter show! Fading fawns are known for their ability to throw many colors and Sylvia has shown that she has that ability! Her crias have been black, fawn, and white! 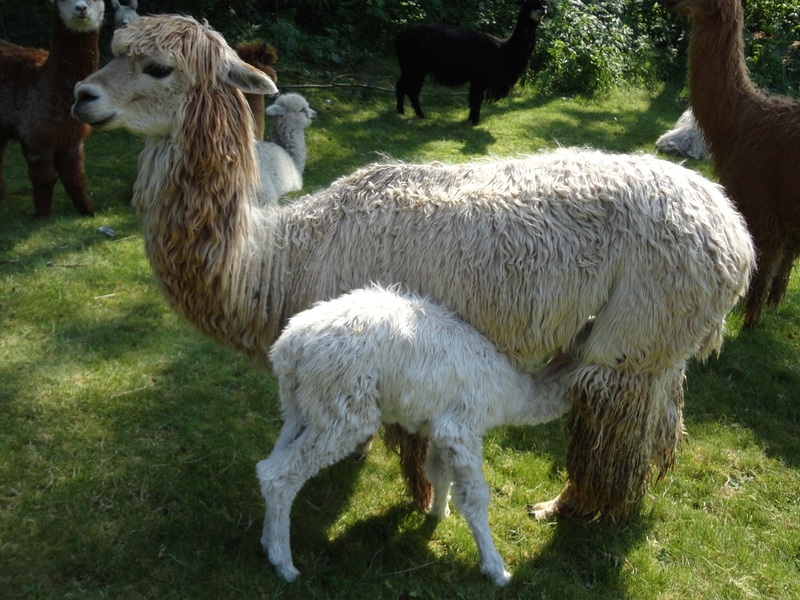 Sylvia comes with her 2012 cria, a white male out of our full Peruvian, 1/2 Accoyo herdsire. This little guy is robust and has a fawn "hat". 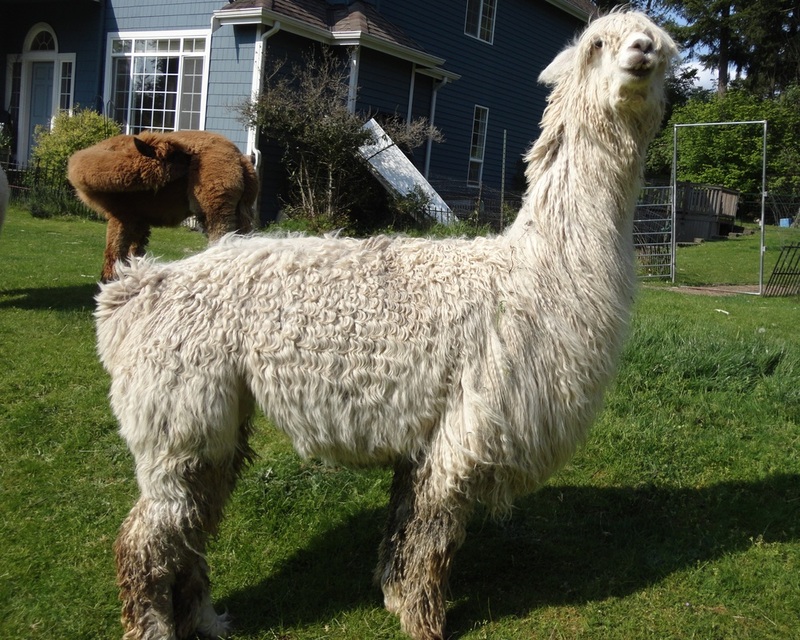 Sylvia is currently bred to either Wind Dancer or Keinu for a 2013 summer cria! 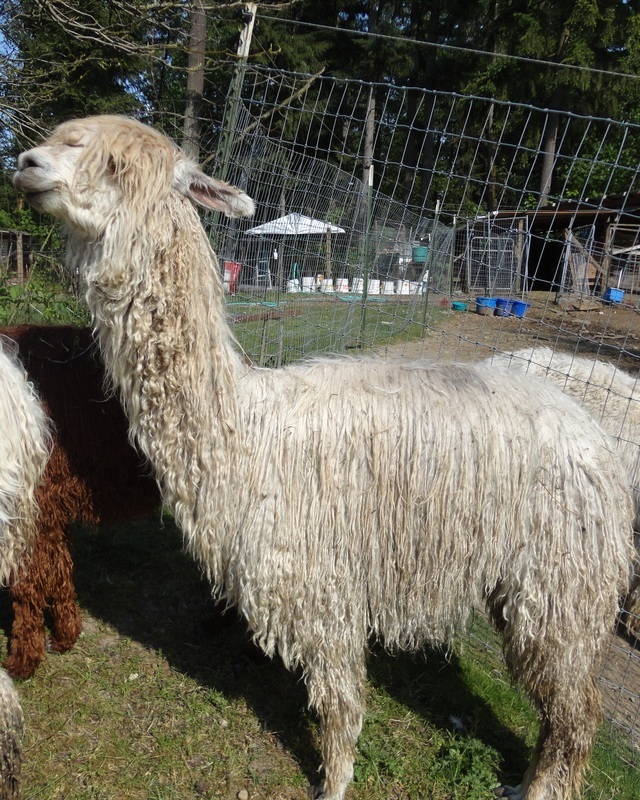 Paradisedeperu Of Fandango Farms - SOLD! This beautiful full Peruvian female boasts some of the best bloodlines - Condor and Cantano! Paradise has dense fleece, great coverage, and great conformation! She is very friendly and easy to manage! She took 2nd when shown on halter at the 2010 NWAS show. Paradise was bred last year and it didn't take. She is a bit overweight so that could be the problem (we haven't tried a diet) but she doesn't come with a breeding guarantee. Fandango Farm's Sugar and Spice - Sold! Looking to "spice" up your breeding program? This little girl is just who you need! 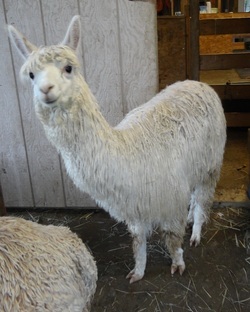 Her bright crimpy fleece is very fine and Sugar has incredible coverage! Don't let her white color fool you - she is a color genetics powerhouse! Her sire is rose grey and her dam is light brown! NWA Ltd Nutmeg - SOLD! Breeder's of Fine Black or grey fleece-this is the foundation female for you. We are amazed at the brightness and crimp Nutmeg is holding as a breeding female with a very long staple & nice density. Look at the CV which is why her fleece is so soft. Unlike some colored alpacas that have a white parent, she has no white fibers in her blanket. But when we sheared her this year we got a big surprise-her cheeks, jaw, and both legs have turned grey-rose grey to be sure. 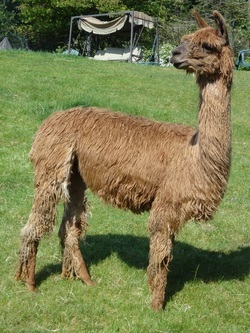 Similar to a vicuna pattern but GREY not lighter fawn! Granddaughter of Augusto, Nutmeg's sire MFI GLACIAL STORM (recently deceased member of the Studmaster Program) throws lots of color with character you usually only find in white fleece. And correct conformation of course. Nutmeg's younger maternal sister DRAMBUIE'S MISTY BLACK is a beautiful true black COLOR CHAMPION daughter of SNOWMASS CASANOVA'S DRAMBUIE and Nutmeg's dam, Miss C.
Nutmeg delivered a dark rose grey female Silver Fox's Finale! This show quality cria sired by a MSG male is a luscious rich color with fine crimpy corkscrew curls, picked by our daughter for her own herd. 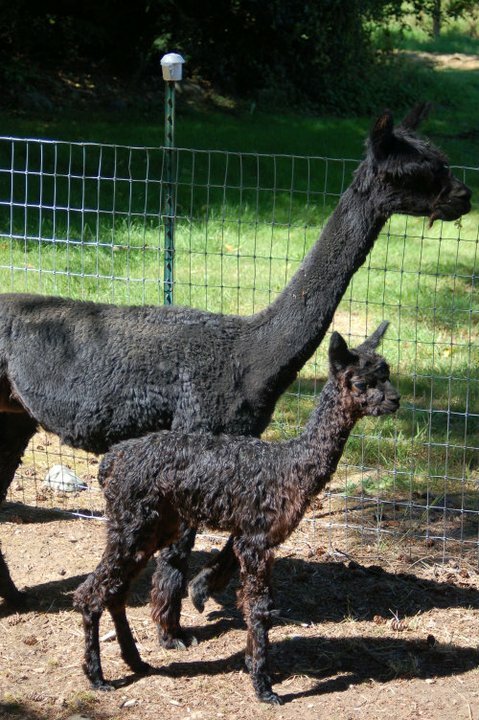 Her two past cria have both been blacks sired by a fawn. 10/27/2010 Nutmeg and Zion produced a dark brown 5/8 accoyo male with beautiful crimpy dense fleece who will be included in the sale. Nutmeg is offered open. 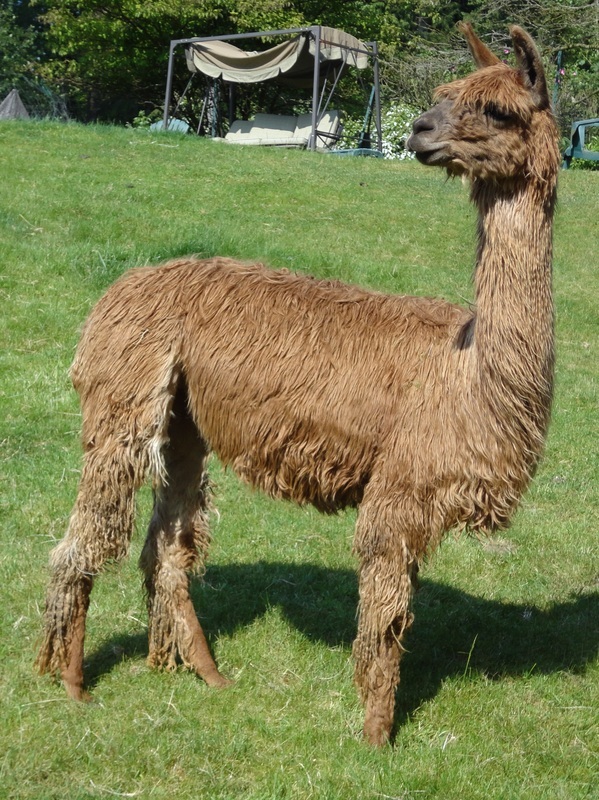 Nutmeg has been a trouble free female, maintaining her weight while feeding her cria, all trouble free births and pregnancies and has had no health issues whatsoever. Glacier's Arctic Wind - SOLD! Full Peruvian and 1/4 Accoyo, white male!